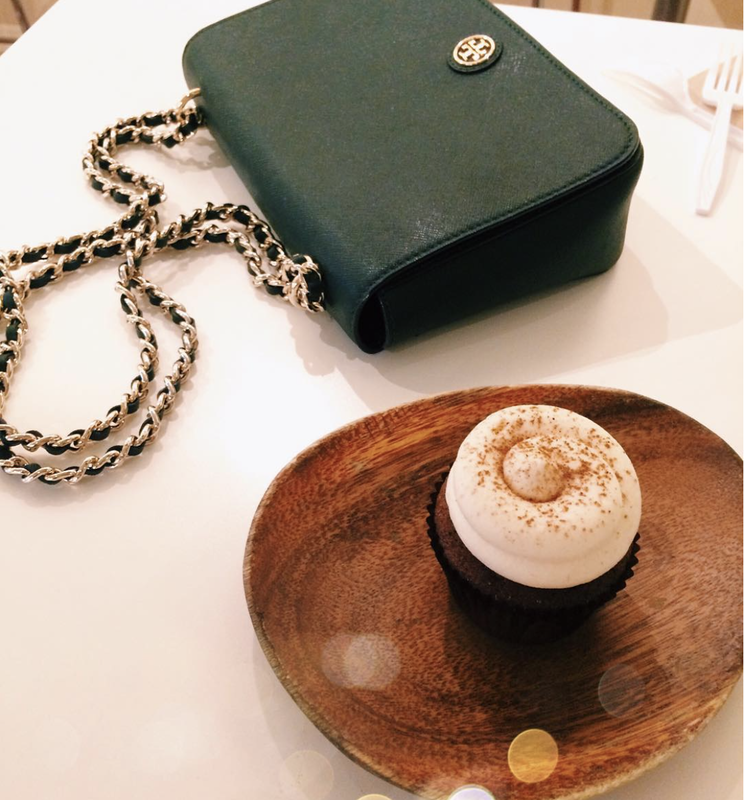 I have no problem admitting I love pumpkin spice everything — like this cupcake I enjoyed last fall. (Not to mention I am guilty of ordering the Starbucks pumpkin bread all year long.) I also can't get enough candy corn and apple cider. There is no prettier time of year and I can't wait for those crisp fall days when it is just chilly enough to wear a sweater, jeans and boots. This will also be my first fall in D.C. and I'm looking forward to experiencing it in a new place and hopefully hiking and making it to some wineries in Virginia! There is nothing more quintessentially fall than a trip to the apple orchard! This year, I will head to the nearest place to pick up mums and pumpkins to decorate the balcony of my apartment. And I will probably wear this sweater when I do — burnt orange is consistently one of my favorite hues of the season each year. Summer has always been my favorite season, but even I can admit that the outfits can get a bit repetitive and simplistic as you are trying to stay cool. 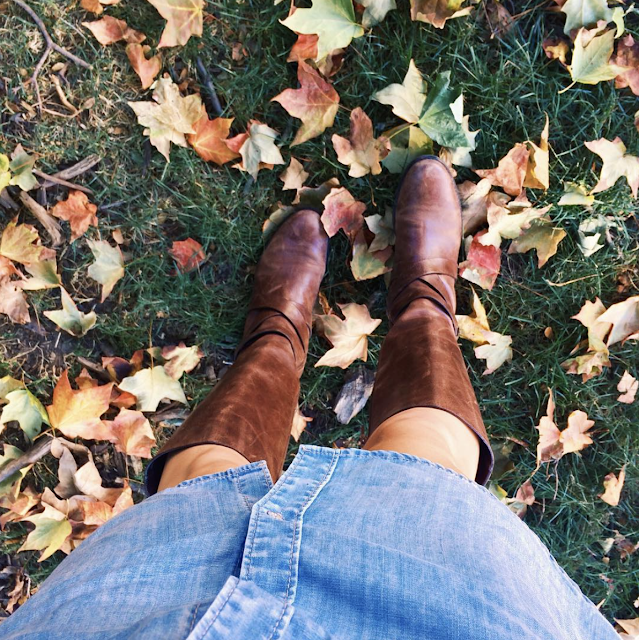 Fall is such a great time to experiment with fashion and layering. I am also drawn to colors during this time of year that I would normally avoid like deep hues of green, red and orange. And chillier temperatures mean I am breaking out ALL of the suede in my closet. The material exudes luxury and coziness at the same time. 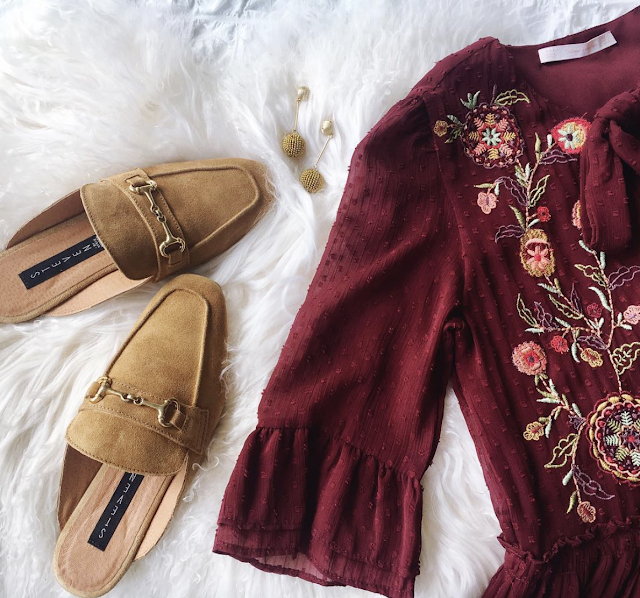 I'm loving this embroidered burgundy dress I found at Zara recently as well as these suede caramel-colored mules from Steve Madden.